The United Nations Association of Sweden (UNA Sweden) is a peoples’ movement for a stronger and better United Nations. UNA Sweden was established in 1957. Today we have around 6,000 individual members organized in 110 local UN chapters and 22 UN districts. In addition, we also have around 100 national organizations as members, eg trade unions, immigrant organizations and youth organizations. The most recent category of members is the certified UN schools, currently 34 high schools all over Sweden. Youth is one important target group for our work. I personally became involved with UNA Sweden during my university years. As a student of political science and international relations I was eager to meet and discuss international affairs with other young people. This was in the early 90’s when the Cold War ended and the Berlin wall came down. In the Stockholm UN chapter I found like-minded people to discuss with and I became involved in activities on a voluntary basis. After my studies I even worked for some time for the UN chapter establishing UN clubs at high schools in Stockholm – very rewarding. My professional life then led me to a number of other positions, such as with the Red Cross and the Foreign Ministry, but always keeping my volunteer work within the UN movement. In 2005 I started working as deputy Secretary-General for UNA Sweden and since April this year I am the Secretary-General of the organization. Together with the deputy Secretary-General Mr Jens Petersson we lead the daily work of the organization consisting of 25 employees. The chairperson of UNA Sweden, Mr Aleksander Gabelic, is of Croatian origin as his parents moved to Sweden in the mid-1960s. Mr Gabelic is also a member of the Swedish Parliament. UNA Sweden has developed significantly during the last ten years. For many years we have had a very good relationship with the Ministry for Foreign Affairs, and we are lucky to receive core support from them and the Swedish Agency for International Development Co-operation (Sida). However, we have also worked quite actively to broaden our funding base, applying for project funding from different donors. The most recent project to be approved is a Nordic Model UN conference to be held in March 2011. We also fundraise for different humanitarian projects of the UN, for example the School Feeding Programme by the World Food Program (WFP) and for mine-clearance and rehabilitation of mine victims. The certified UN Schools is another way for us to work closer with the high schools and provide them, for a fee, with material, training and different activities for pupils and teachers. Our annual budget is around 3 million USD. Information: UNA Sweden provides schools, media, and the public with up to date facts about the work of the UN. We also have a website (www.fn.se) and a magazine for our members. Advocacy: UNA Sweden is a leading player in the Swedish debate on the UN and regularly finds itself in national and local TV, radio and newspaper coverage on various UN topics. Review: UNA Sweden hosts the Swedish Human Rights Network and regularly provides the UN Office on Human Rights with shadow reports on Sweden’s implementation of various HR conventions. 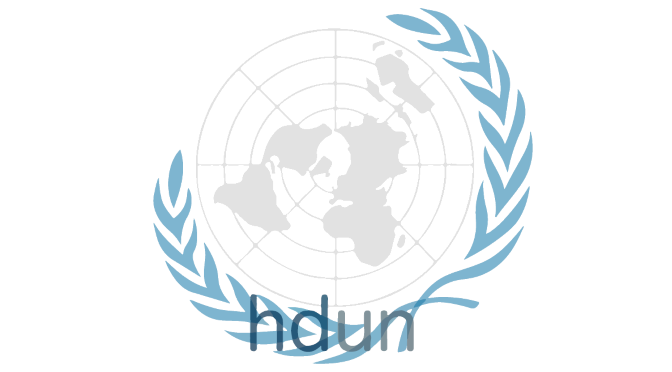 The Human Rights Network is composed of some 50 national organizations. Fundraising: Through our campaigns UNA Sweden raises funds in order to support various United Nations long and short term humanitarian programmes. International cooperation: UNA Sweden has ongoing projects with other sister UN associations in Georgia, Armenia, Tanzania, South Africa and the Democratic Republic of Congo. We are also active within the World Federation of United Nations Associations (WFUNA), and meet regularly with the Nordic UNA’s as well as with the European network of UNA’s . The United Nations Millennium Development Goals and the Millennium Declaration are fundamental for all the work within UNA Sweden. Other major issues in the last few years have been the strengthening of the United Nations and climate change. Last year, UNA Sweden was given the opportunity to host a meeting for 30 NGO’s with the UN Secretary-General Mr Ban Ki-moon as he made his first visit to Sweden. What, then, is the biggest current challenge for UNA Sweden? Apart from international crisis situations and promoting a better and stronger United Nations, one of our main challenges is to defend the role of non-governmental organizations within the UN system. Civil society should be able to cooperate more and better with the UN in order to strengthen the organization’s abilities to meet global threats of today. With the exception of the human rights system, NGO’s are virtually non-present within the UN system. The United Nations must constantly work to make itself more relevant. One way of doing this is through civil society organizations. The reform process is also important for the continued legitimacy and credibility of the organization. This also includes reform of the Security Council. Regardless of whether it is about climate change, pandemics, international crime and conflicts or development issues, the UN is the most relevant and legitimate actor. It is also the only global organization representing all countries in the world. Throughout the years, I have learned a lot from meeting other UNA’s. It is my hope that UNA Sweden’s journey can serve as a good example and inspiration for new and ambitious UNA’s around the world – such as UNA Croatia.